Thank you for locating your business in our city. Before applying for your Local Business Tax Receipt (formerly known as an occupational license), please take the time to read the following guidelines. You will find answers to many of your questions and, hopefully, this section will help you to obtain the required documents to operate your business. For further information on business taxes, refer to our Official Tax City Code. If you do not maintain a permanent business or branch office in the City of Dunnellon, but you are a contractor doing business in the city limits, you must register with the Community Development Department Contractor Registration. Verify zoning and obtain a change of occupancy / occupant or home occupation permit from Community Development. All licenses relevant to your business need to be attached to your application; i.e., State Professional License (Florida Department Business professional Regulation), Division of Hotels / Restaurants, and health permits. After you receive your receipt, please display it in a visible area. 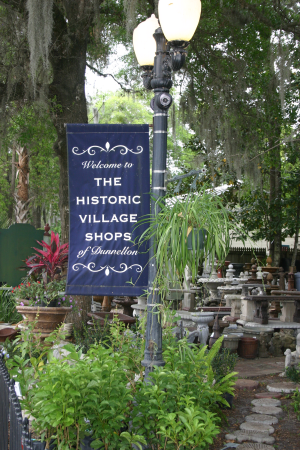 All people who operate a business or profession in the City of Dunnellon are required to pay a fee to obtain and maintain a Local Business Tax Receipt (BTR). Fees are assessed upon issuance of your BTR, $57.42 per year, $28.71 for a half year. Tax receipt payments are due and payable by October 1 of each year and expire on September 30. (Half-year licenses apply to any new business opening after April 1 and expiring on September 30.) View schedule of fees for more details. If you have paid the business tax fee and filled out the application, this does not give you permission to open your business. If you have a water meter installed and water turned on, this does not give you permission to open your business. For further questions or comments, please contact Barton.